Group coaching is taking many forms globally, given that it is driven and shaped by the various needs of different client groups. The group coaching conversation can feel “wide and broad” rather than the deep dive of an individual coaching conversation which is why I often offer some one-on-one time with multi-day group coaching programs. Besides the perks of working with a coach, group coaching clients also benefit from the peer learning with others, commonly referred to as the collective wisdom of the group. 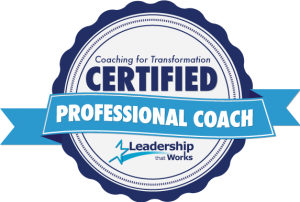 Describing the difference between Group Coaching and workshops is surprisingly difficult since often the lines can blur given I am prone to using my coaching skills even in workshops and the topics can be similar. The main difference is that in group coaching sessions my primary focus is on taping the collective wisdom of the group using various coaching skills and providing accountability to participants, while in a workshop my focus is on providing tools, information, and other resources to teach certain practical skills. These are some of the topics I like to cover as group coaching programs and often in workshops. If you have something specific in mind feel free to connect with me to see if it is something I would be open to covering.